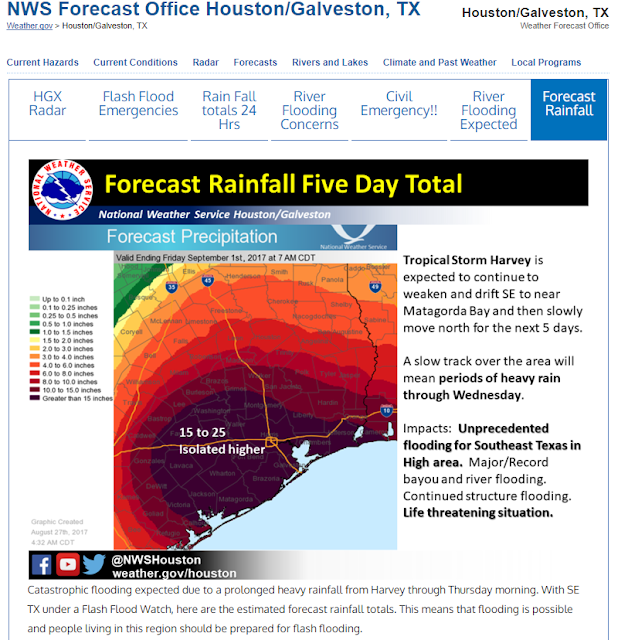 Unprecedented Catastrophic Life-Threatening Flooding Ongoing In Houston, TX Area! 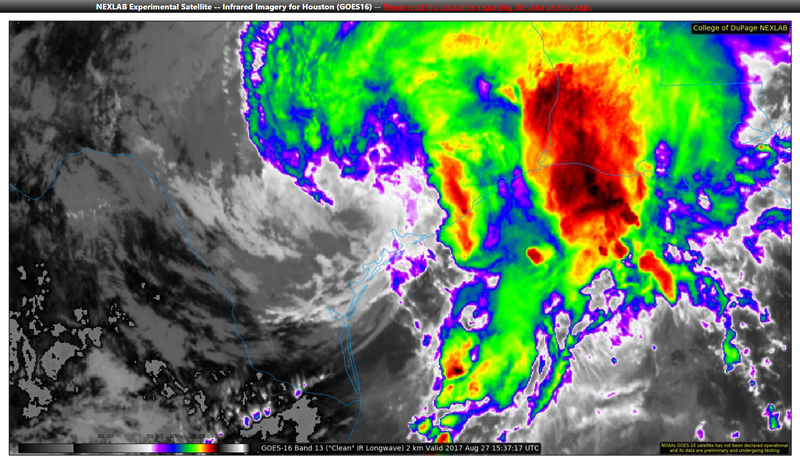 Blog Updated At 12:16 PM MDT. 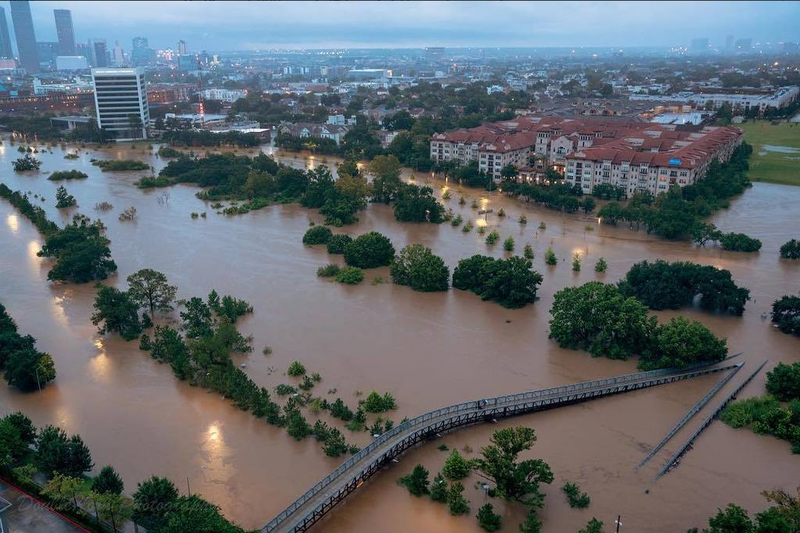 Flooded Houston, Texas This Morning. Courtesy Of DoubleHorn Photo In Houston, TX. Visit His Photo Web Page Via This Link. 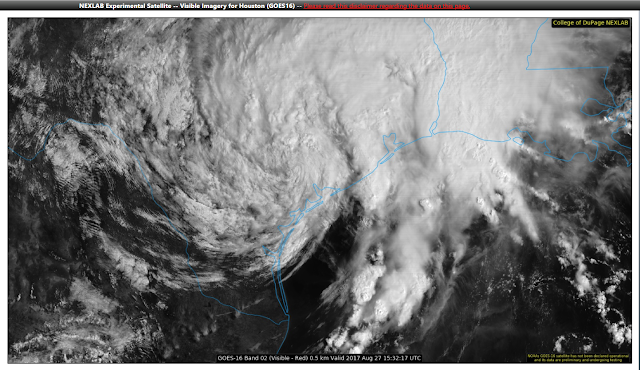 GOES-16 Visible Satellite Image Of Tropical Storm Harvey. GOES-16 Infrared (IR) Satellite Image Of Tropical Storm Harvey. 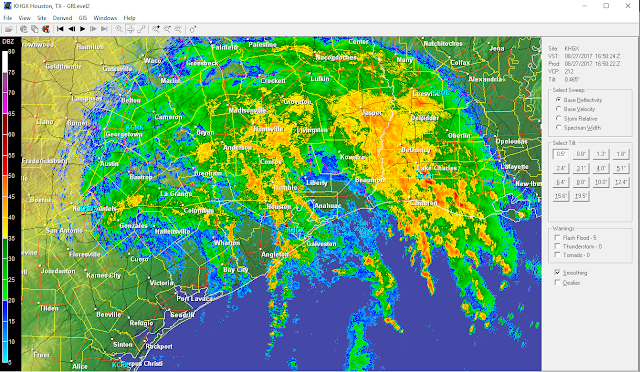 NWS Houston/Galveston Doppler Radar Snapshot. Valid At 10:50 AM MDT This Morning. Flash Flood Emergency In Houston, TX. Red Circles Are Bayous, Rivers, Creeks That Are Flooded Out Of Their Banks. 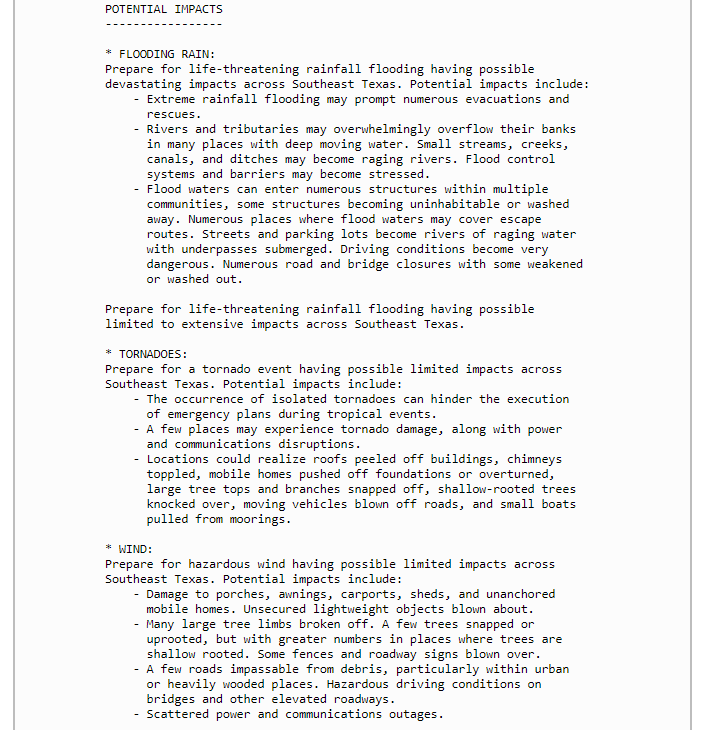 River Flooding Concerns This Morning! 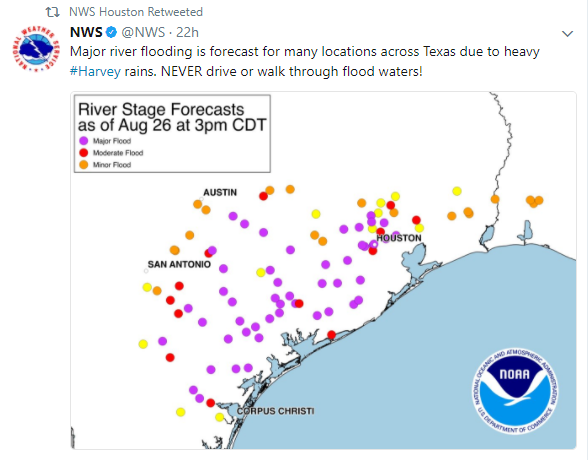 River Flooding Via NWS Houston/Galveston Twitter. 24-Hour Rainfall Totals Courtesy NWS Houston/Galveston, TX. This Event Is Unprecedented And All Impacts Are Unknown And Beyond Anything Experienced! (Direct Quote From The Houston/Galveston, Texas National Weather Service Office). Preliminary 48-Hour Rainfall Totals Greater Than 12". Preliminary 24-Hour Rainfall Totals Greater Than 12". NWS Houston/Galveston, TX 24 Hour Rainfall Totals. 24-Hour rainfall totals in Harris County and in and around that area as of 8 AM CDT this morning ranged from around 10 inches to as high as 28 inches! 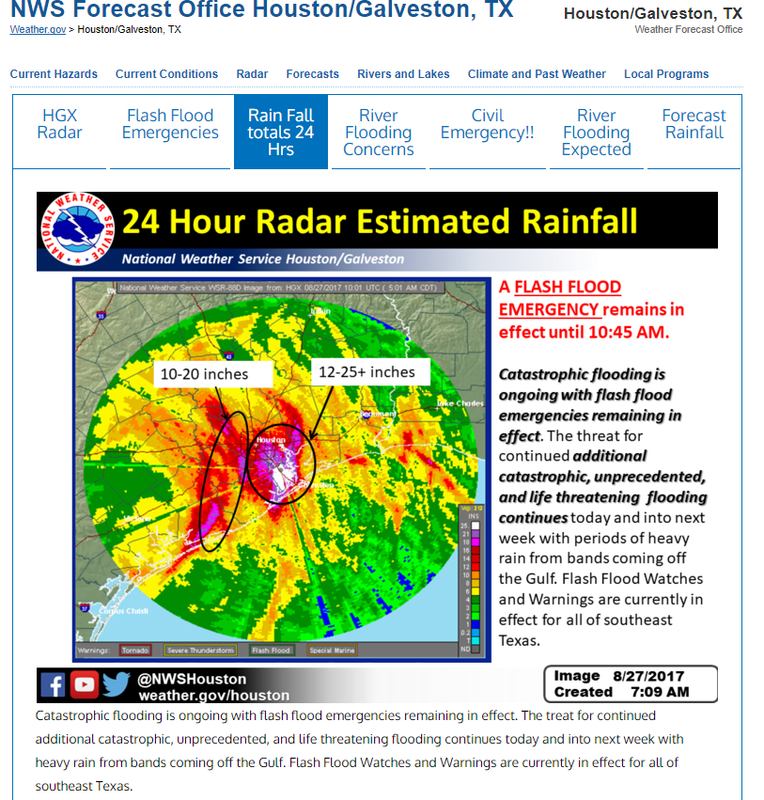 Local Emergency Management Officials are reporting that south Houston has picked up 15 inches of rain in the past 3 hours! Rain was falling at the rate of 3 to 7 inches per hour! Average rainfall for Harris County for the past 24-Hours is nearly 14 inches. 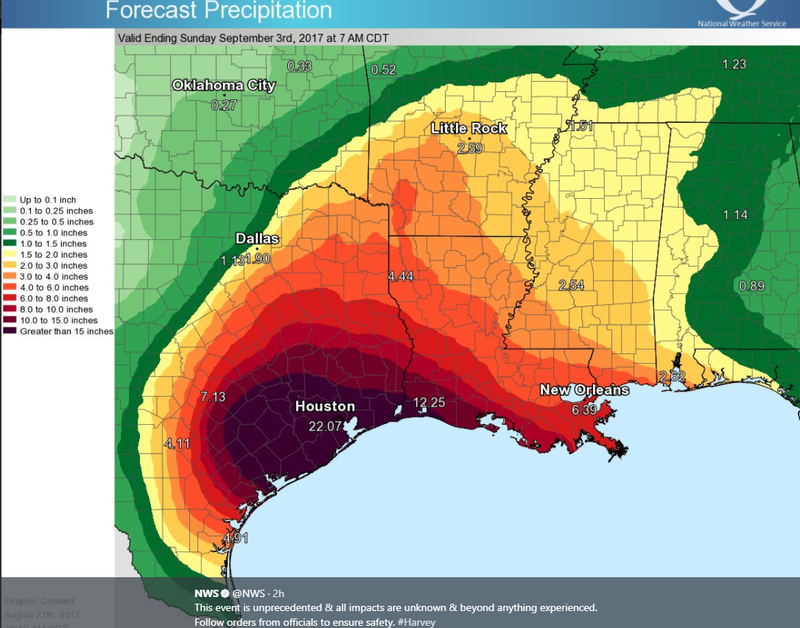 National Weather Service forecasts were calling for rainfall totals of up to 35 inches by noontime today. 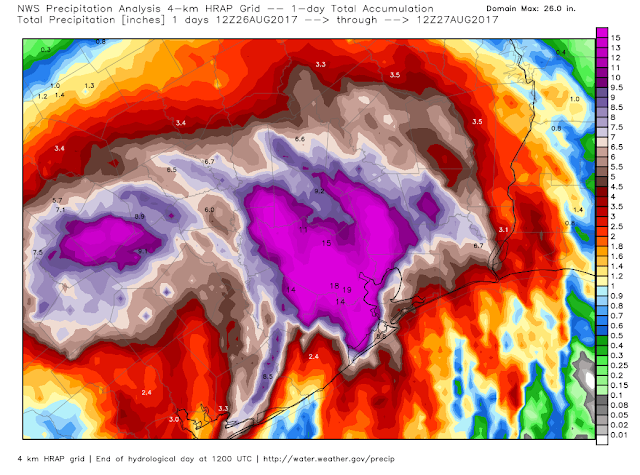 Astonishingly another 15 to 25 inches of rain is forecast to fall over this areas over the next five days! 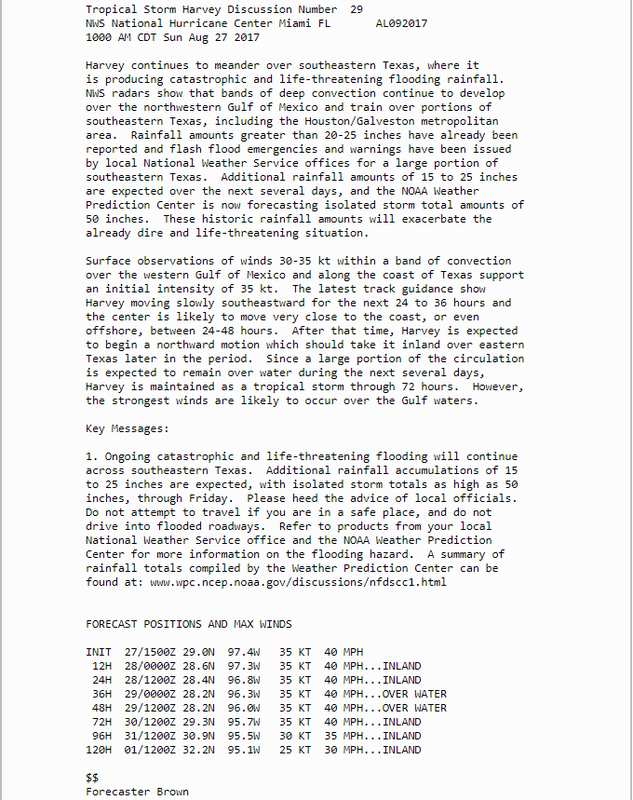 Unbelievably the NOAA's Weather Prediction Center (WPC) is forecasting isolated totals of an additional 50 inches! Additional actual reported rainfall totals are available via the Texas Harris County CoCoRaHS web page via this link. Life-Threatening Flooding Catastrophic Unfolding In The Houston, Texas Area. Over 2,000 calls for rescues have occurred in the Houston area since 9 PM CDT last night. Over 1,000 people have been rescued. 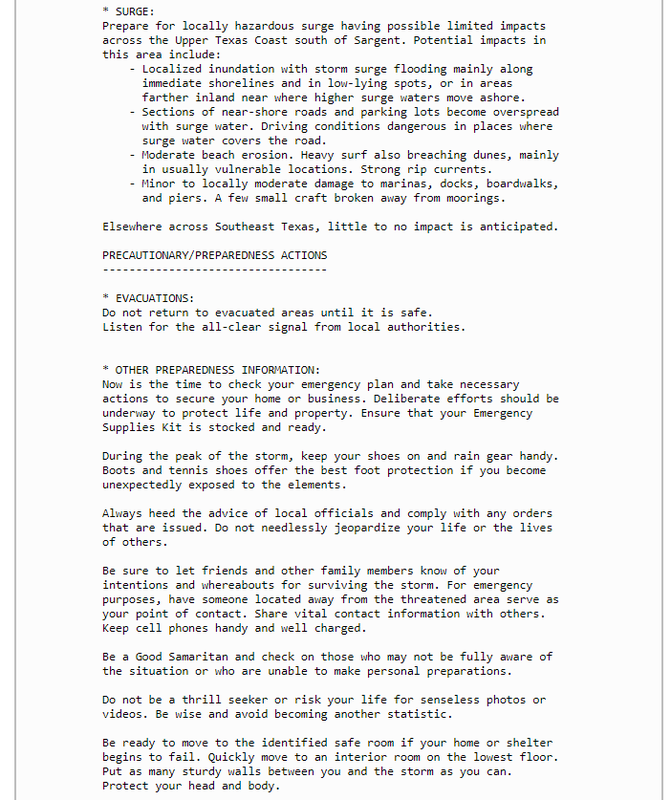 Local Emergency Management Officials are asking residents not to seek shelter in their attics but instead get to their roofs if possible. 911 Call Centers are overwhelmed with calls of people pleading for help and rescues. 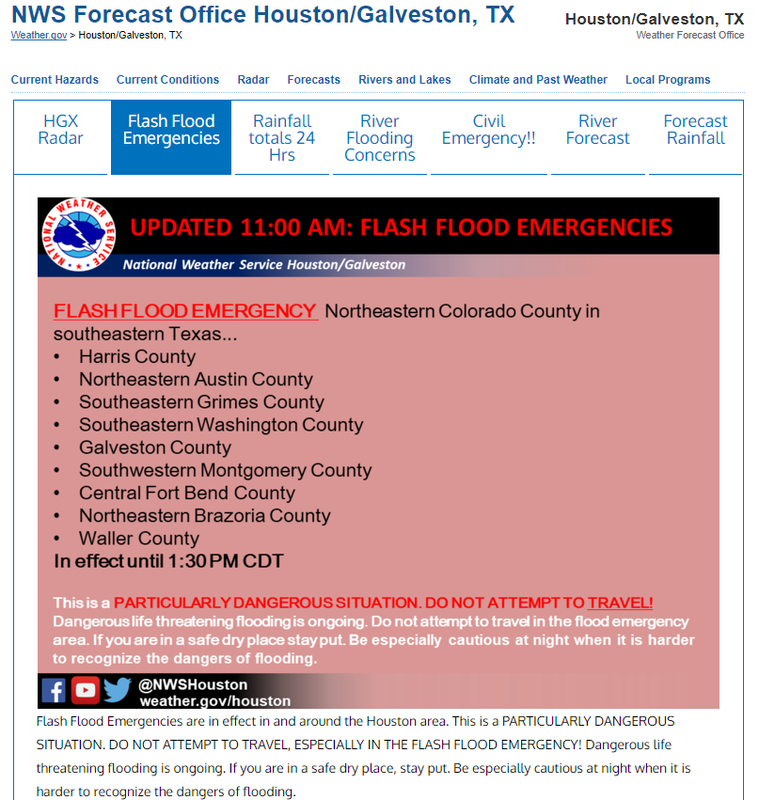 Widespread catastrophic flooding is ongoing and will only get worse with time with the additional rainfall today and over the next couple of days! 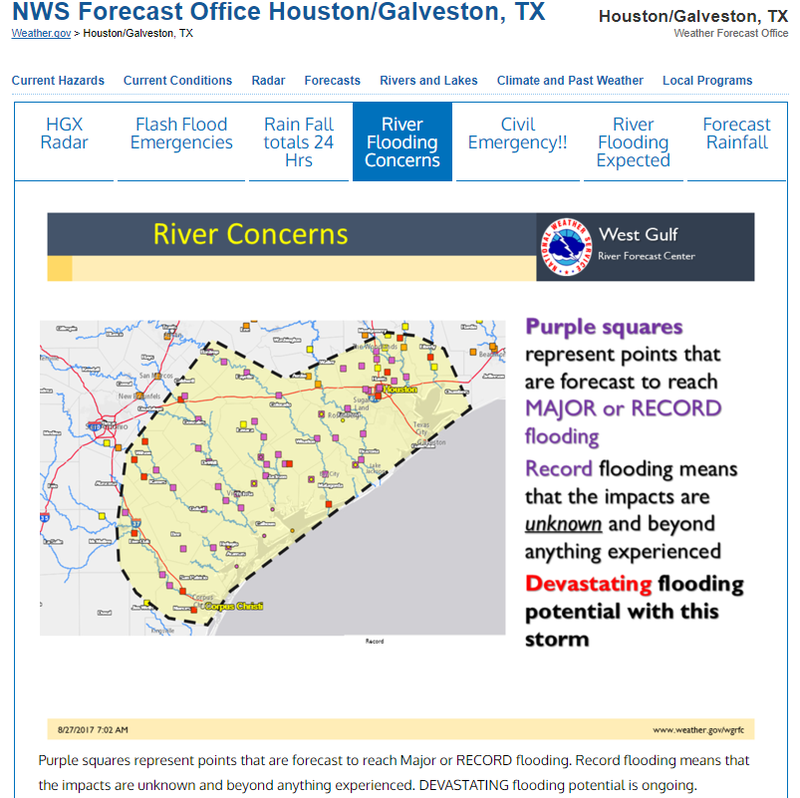 Dams in the area are becoming stressed and are in danger of being overwhelmed and failing. 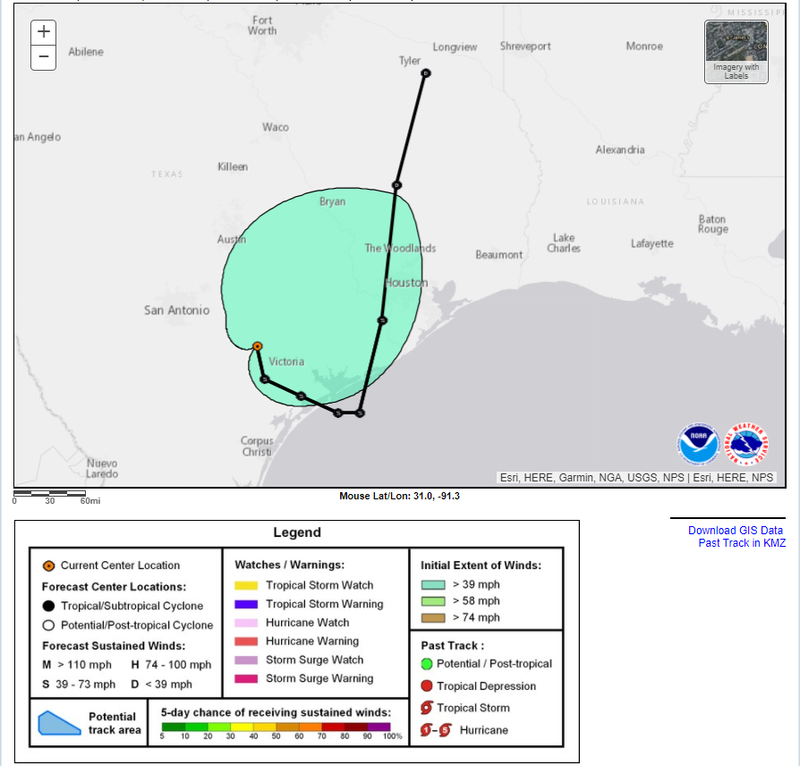 This event will breaks all records for flooding in this area of Texas and could go down in history as the worst flooding event of all-time in Texas! 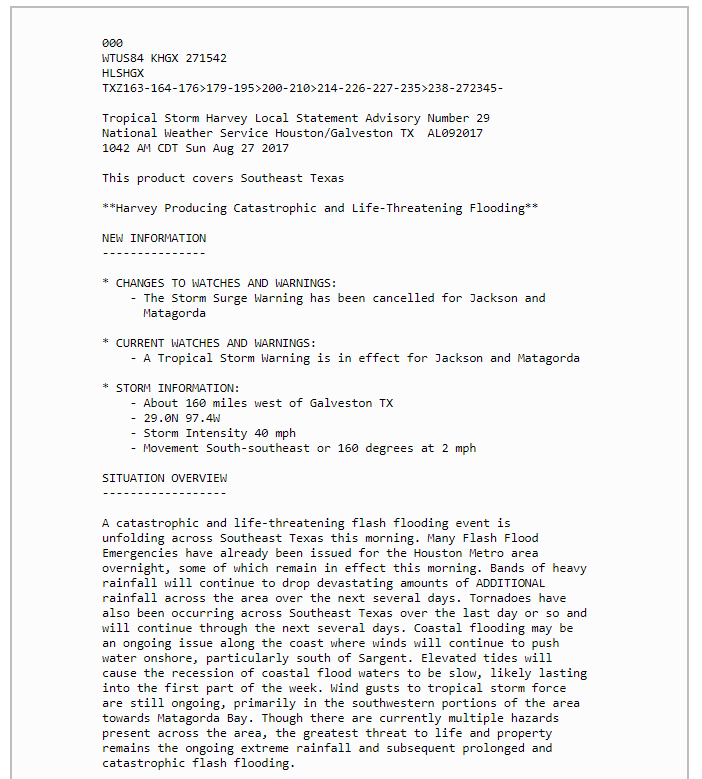 The Unprecedented Life Threatening Catastrophic Flooding that is ongoing in the Houston area will eclipse the flooding event that Tropical Storm Allison produced in 2001. 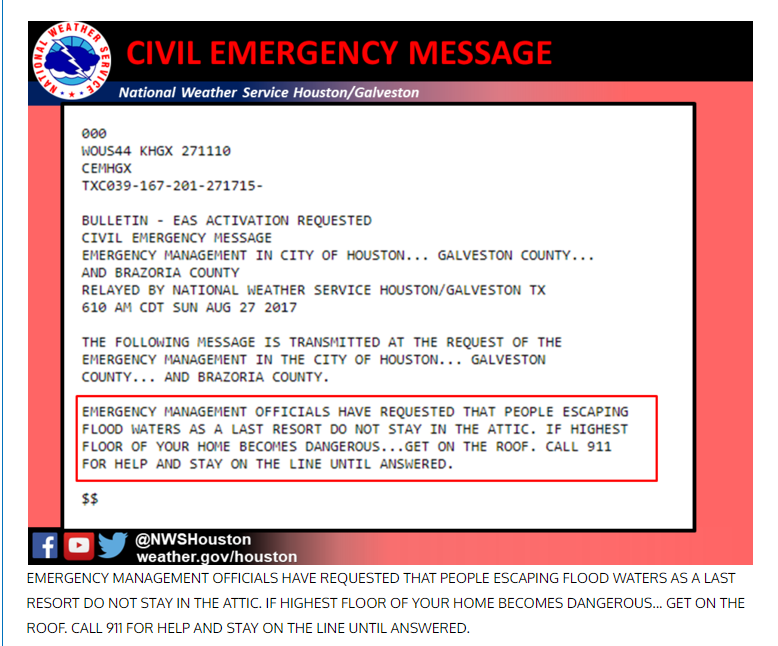 Civil Emergency Message For The Houston, TX Area. 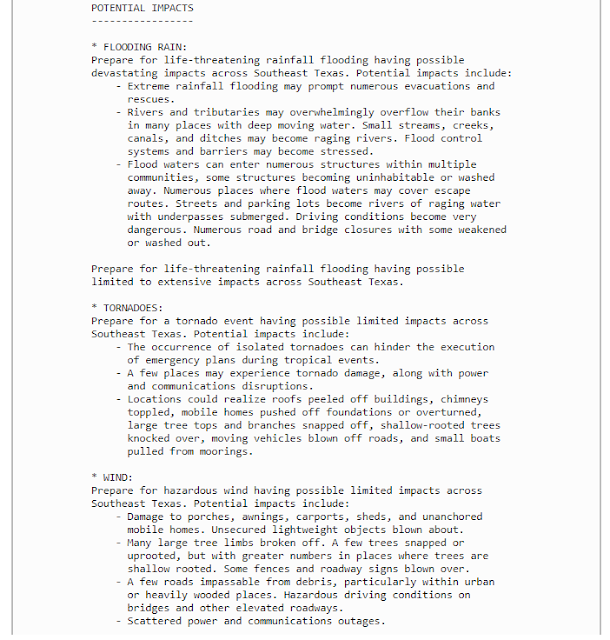 Hurricane Local Statement From NWS Houston, TX. 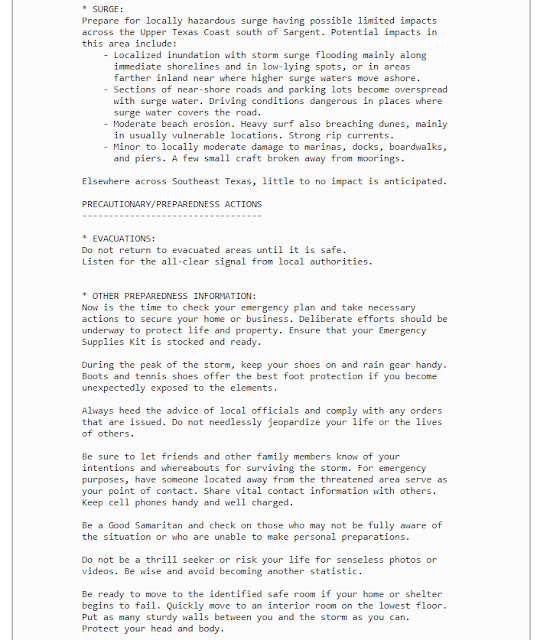 (Issued At 10:42 AM CDT/9:42 AM MDT). 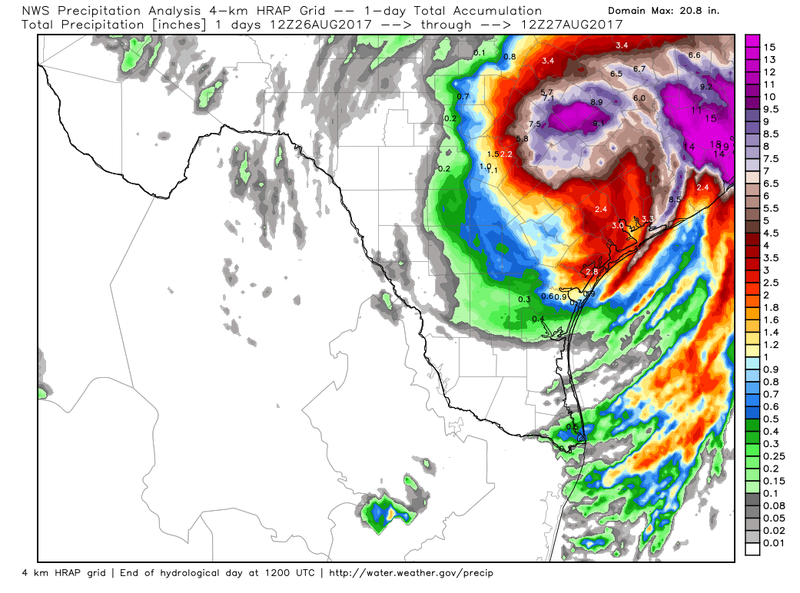 Harvey Forecast To Re-Emerge Out Into The Gulf Of Mexico. 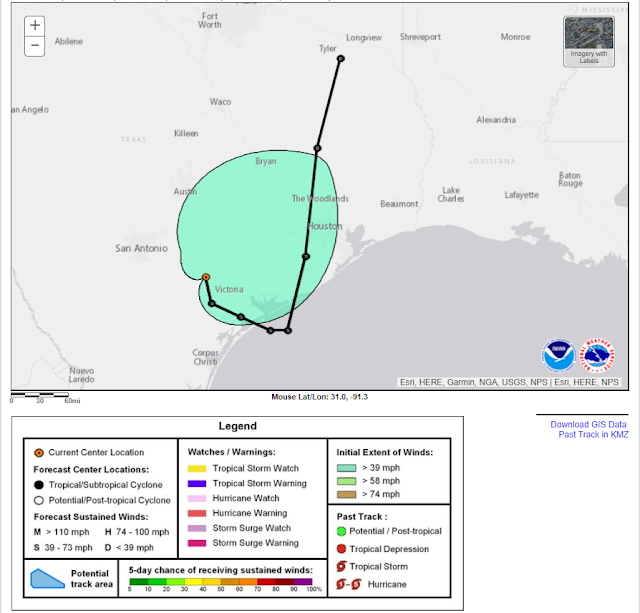 National Hurricane Center Forecast Track Of Tropical Storm Harvey. 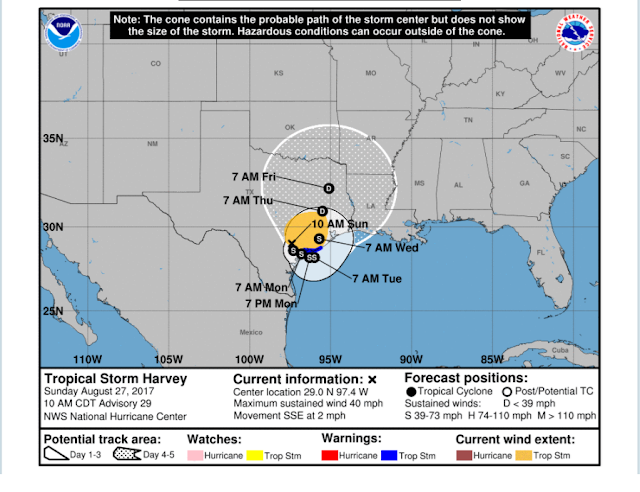 Latest Hurricane Statement From The National Hurricane Center (NHC) On Tropical Storm Harvey. 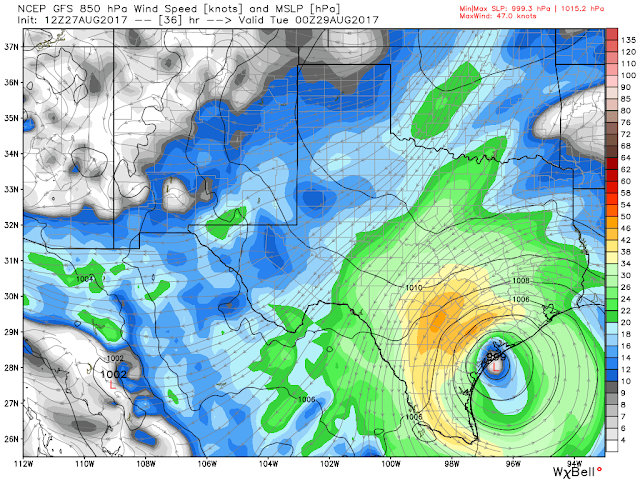 It Gets Worse - U.S. GFS Model Forecasts Harvey To Re-Emerge Over The Gulf Of Mexico By Monday. 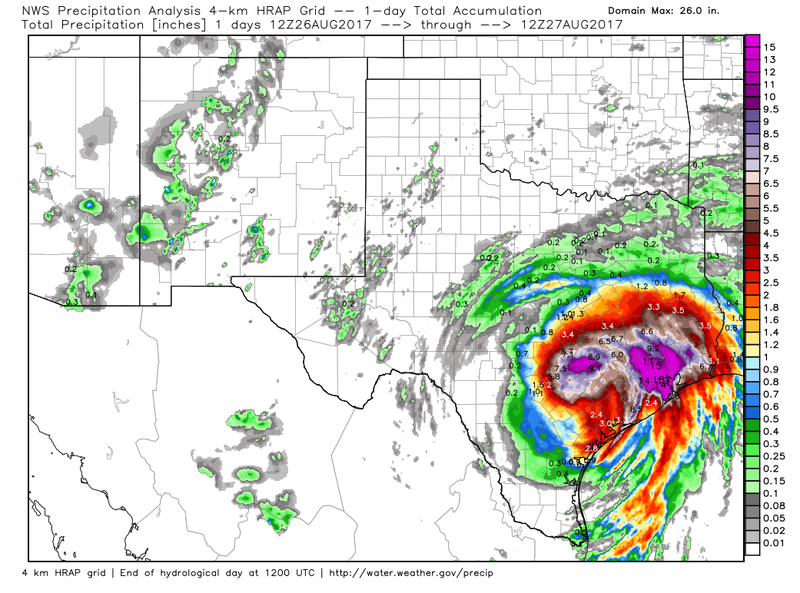 Valid At 6 PM MDT Monday, August 28, 2017.